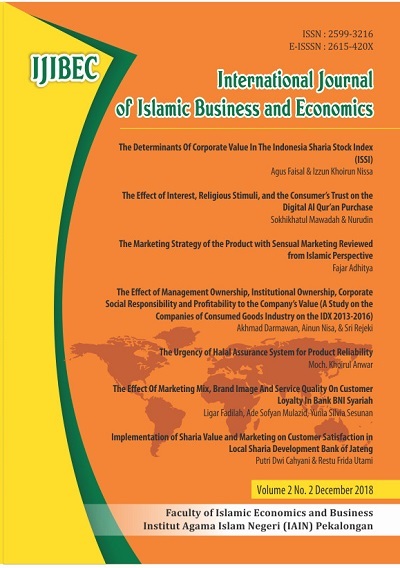 International Journal of Business and Islamic Economics (IJIBEC) is an international journal providing authoritative source of scientific information for researchers and scholars in academia, research institutions, government agencies, and industries. ISSN IJIBEC is 2599-3216 and Online is 2615-420X. We publish original research papers, review articles and case studies focused on Islamic Bussiness and Economic as well as related topics. All papers are peer-reviewed by at least two reviewers. 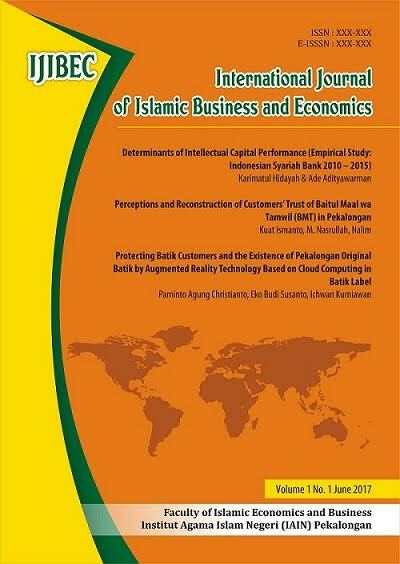 IJIBEC is published and printed by Faculty of Islamic Economics and Business of Institut Agama Islam Negeri (IAIN) Pekalongan, the journal is in collaboration with the Ikatan Ahli Ekonomi Islam Indonesia (IAEI) Komisariat IAIN Pekalongan and Masyarakat Ekonomi Syariah (MES) Pekalongan Raya. 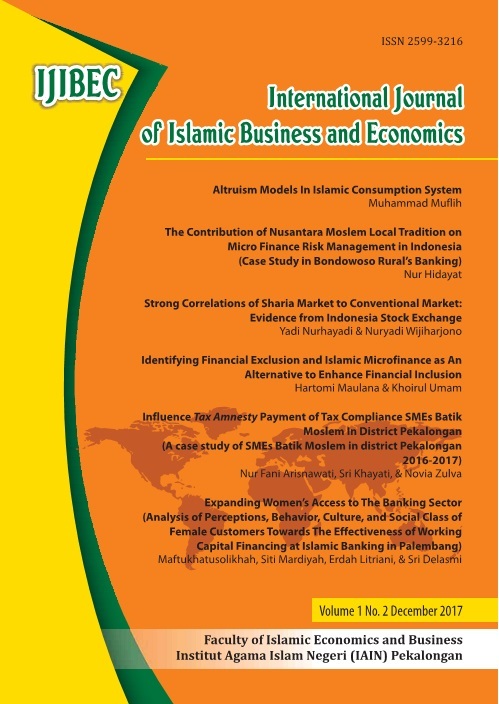 International Journal of Business and Islamic Economics (hence IJIBEC) is an international journal providing authoritative source of scientific information for researchers and scholars in academia, research institutions, government agencies, and industries. We publish original research papers, review articles and case studies focused on Islamic Bussiness and Economic as well as related topics. All papers are peer-reviewed by at least two reviewers. 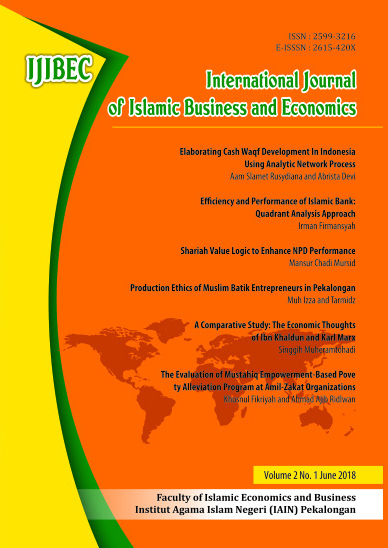 IJIBEC is published and printed by Faculty of Islamic Economics and Business of Institut Agama Islam Negeri (IAIN) Pekalongan, the journal is in collaboration with the Ikatan Ahli Ekonomi Islam Indonesia (IAEI) Komisariat IAIN Pekalongan and Masyarakat Ekonomi Syariah (MES) Pekalongan Raya.